The reception will be held on Thursday, November 2nd at 1:15pm with the presentation at starting 2pm. 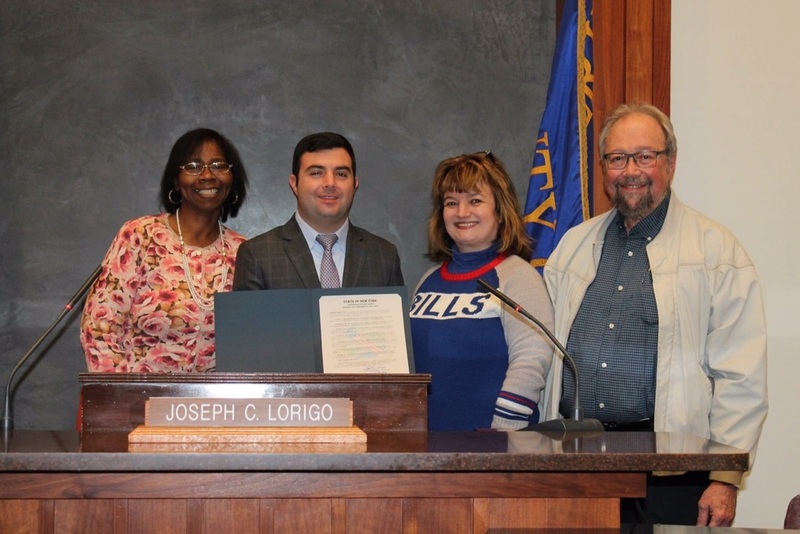 The reception will take place in Legislator Lorigo’s Office on the 4th floor in Erie County Hall, 92 Franklin Street, Buffalo. BUFFALO, N.Y., NOVEMBER 2nd, 2017, A.D. WHEREAS, Save Our Western New York Children's Psychiatric Center has shown persistence, patience, and passion in its difficult ﬁght to keep the WNYCPC open for the families and children it serves. RESOLVED, that this legislative body pause in its deliberations to recognize the efforts and contributions of the Save Our Western New York Children's Psychiatric Center coalition, and names Save Our Western New York Children's Psychiatric Center coalition as Organization (Citizens) of the Month for November 2017. Click here to download the Legislature of Erie County document.